Trip to Champagne by the bullet train, visit at the Reims Cathedral, Art Deco walk tour, lunch and visit at the Taittinger winery. Cost €130 per person. After a Paris breakfast of cafe and croissant, how about lunch, a glass of bubbly and a day in France's Champagne region? Thanks to a comfortable and high-speed train line, Reims, the heart of Champagne country, is just 45 minutes from Paris. Several factors make this trip to Reims, the perfect out-of-town daytrip from Paris. We operate this tour in English and in French from Monday to Friday throughout the year as the city of Reims is perfect for leisurely strolls, fine food and sampling champagne, the king of all wines, within easy reach from Paris. For the affordable price of €130 per person (booking 3 weeks ahead the trip), you spend a pleasant day in Champagne without loosing hours on the website to read about the area of Champagne, to buy train tickets, to book restaurant and visit at a champagne winery. If clients book this tour, after 3 weeks ahead the trip, they have to pay an extra charge between €10 and €25 per person for the extra cost of the train tickets. For some visitors, a trip with the France’s highly efficient TGV fast trains is a unique experience to discover this jewel of high technology and the Champagne landscapes between plains and gently rolling hills. Lastly, you pay only on the day of the trip. The tour includes the bullet train round trip ticket Paris Champagne, the city walk tour to discover the Reims Cathedral and magnificent Art Deco buildings in Reims, lunch in a fancy restaurant with a champagne flute, a glass of wine and a visit at a Champagne winery. Clients take the TGV train from Paris East train station (15 minutes from the center of Paris by the metro, please never take taxi or Uber to the train station because of the congestion) at 8:58am, direction Reims, arrival at 9:44am . 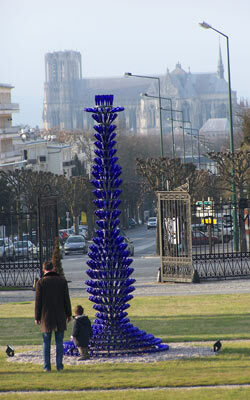 Clients take the train in Reims at 5:15pm or 7:15pm go back to Paris at 6pm or 8pm. If clients want to go back to Paris, the day after the trip, we help them to book accommodation to stay overnight in Reims. 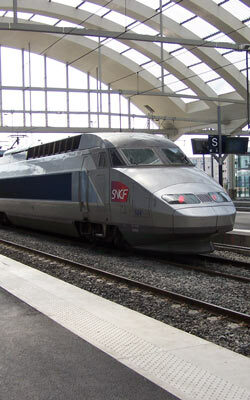 8:58am : Take the French bullet train at the Paris East train station (gare de l’Est) ! You arrive at the Reims train station at 9:44am. Go out of the train station by the main exit, cross the round abound in front of the train station, you arrive at the pedestrian area “Place Drouet d’Erlon”, you must see in front of you a column with the gold scupture Victoria on the top (the locals call this column Foutain Subé). 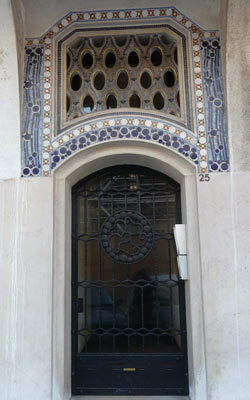 Walk 200 meters to this column and meet the guide at 10am in front of the drugstore, 36 place Drouet d’Erlon ! 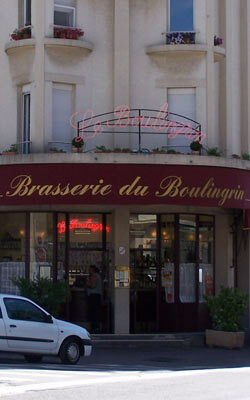 The guide gives you the vouchers for lunch, visit at champagne Taittinger and bus tickets. Pay the guide €130 per person by cash ! 10:05am – 12:00am : the walk tour in English or in French. The walking city tour starts at the square Drouet d’Erlon, then you visit the Reims Cathedral and you end up visiting the Carnegie library. Visitors are mostly walking outside 900m less than 2 hours. You visit the Reims Cathedral for one hour and the tour steps in front of a few buildings to point out Art Deco and other highlights to help you visualize what happened in Reims from Roman times to today. 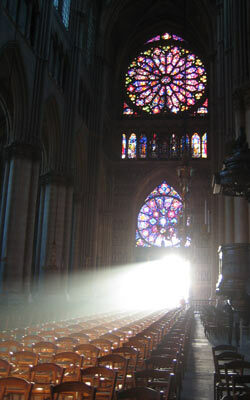 This city tour includes one hour visit of the Reims Cathedral, a gothic masterpiece where the kings of France were crowned, its sculptures and its amazing Marc Chagall and Jacques Simon’s stainless steel windows. 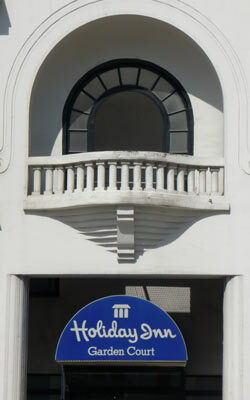 Reims is also a city of Art Deco like New York City or South Beach, Miami. You can admire many ornamented facades with low reliefs, cut off corners, wrought iron gates and guard rails, mosaics made with ceramic and stainless steel windows. 12:10am – 1:50pm : lunch. In the fancy restaurants “Au petit comptoir” or "Café du Palais", just 10 minutes from the Carnegie Library, show your voucher and enjoy a 2 course menu! 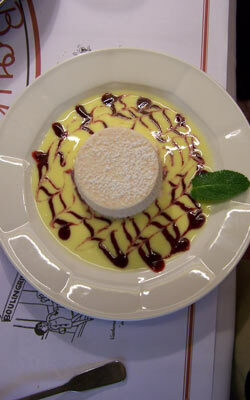 You choose one main dish and one dessert with a flute of champagne and water at the beginning, then after the starter, a glass of red wine or white wine and a coffee at the end. If you want to order more champagne or wine, you pay extra charge direcly to the waiter. A champagne flute costs €8 and a glass of wine around €5. After your lunch, you have a short time to stroll around the opera house before taking your bus to go to Taittinger at the bus stop Opera at 2:29pm. 2:29pm : Take the bus line 4, at the bus stop Opera, in front of the opera house, direction Reims Hôpital Debre at 2:29pm, go down at the bus stop Saint Timothée at around 2:39pm. In front of the bus stop, cross the street and take the narrow street Saint Sixte (the drugstore is on the right side of the street St Sixte) ! 50 meters further, you arrive at Champagne Taittinger in the square Saint Nicaise ! 2:43pm : show your voucher and enjoy your tour in English at the Champagne Taittinger at 2:45pm ! You discover step by step technical wine making “from grapes to champagne” through pressing, first fermentation, blending, bottling, second fermentation, riddling, disgorgement, corking and finally labelling. Admire the beauty of chalk quarries dated back to the Roman times and the vestiges of an abbey built in the 13th century by Champagne monks ! 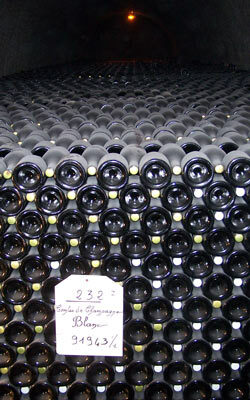 Now, Taittinge winery uses this 20 meter deep cellar to age some 3 million bottles of bubbly. 2 glasses of champagne will be served at the end of this tour. Don’t forget your camera to take pictures and warm cloths ! After the tour at around 4:00pm, go back to the same bus stop, but take this time, on the bus stop on the other side of the street, the line 4 direction Reims Orgeval ! You can catch the bus at 3:58pm or 4:12pm or 4:36pm. You get back to the train station Reims 20 minutes later. You have time for leisurely strolls in the town before taking the train at 5:15pm or 7:15pm. Please get back to the train station by 5:10pm or 7:10pm ! 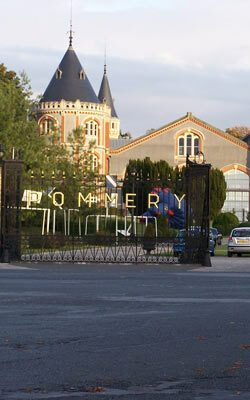 You can also visit quickly the Pommery or the Veuve Clicquot’ gift shops. Veuve Clicquot is closed on Monday. 1) Your name, your country and your birth day. 2) The day of your trip. You must sign up the tour 3 weeks ahead the trip. Indeed, Paris Champagne Tour has to buy train tickets at affordable price, 3 weeks ahead the trip, otherwise, we can’t garantee you the cost of €130, per person, neither the tour. 3) Our tour operates only from Monday to Friday. In this regular tour “A Day in Champagne by the fast train”, clients take the train in Reims at 5:15pm to go back to Paris at 6pm. Anyway, clients also have the option to take the train at 7:15pm to go back to Paris at 8pm. Indeed, from May to September, the sun sets late, it is worth taking the train at 7:15pm in Reims in order to spend a full day in Champagne (especially a drink in front of the Reims Cathedral). If clients are interested in this option, please advise us ! You can also stay overnight in Reims and to go back to Paris on another day, we can also help you to book hotel, to rent a car, to schedule another day in Champagne to go to the vinyards...In this case, please let us know ! 4) Your mobile phone number or your hotel’s address in Paris that we can get in touch with you in case of troubles. 5) Your engagement that you pay us the train fare if you cancel the trip or you miss the train. The cost of the round trip train ticket may vary from €40 to €60 and clients can pay us by the credit card. 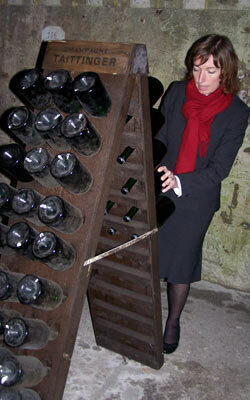 Paris Champagne Top is ranked as a high quality travel agency in Champagne. Thousands of clients enjoy our tours per year and our business is based on the mutual trust, that’s why clients pay us only on the day of the trip. Within 48 hours after your reservation, we email you your round trip train ticket and the schedule of your day in Champagne in a PDF file. Print them and don’t forget on the day of the trip ! It is easy to take the train to Reims and meet the guide at the meeting point at 10am, pay the guide the cost of the tour, €130 per person ! The guide gives you vouchers for lunch, visit at Champagne Taittinger and bus tickets, the off you go for a nice day in Champagne. It is easy to go the train station Paris East (gare the l’Est) which lies 2,5 km North East the center of Paris (Notre Dame de Paris). We recommend you the metro network to get there because the taxi is ofter stuck in the congestion arount the train station. Ask us or the concierge of your hotel to get to the train station. Please arrive to the train station 10 minutes before the departure ! At the Paris East train station, when the track of your train (at 8:58am, direction Reims) is displayed on the wide screen, get to the right track and get on your train ! Indeed, your train ticket is an electronic ticket, therefore no need to validate your tickets in the yellow machines. Do the same thing on the way back ! if you are not sure, ask the uniformed station personnel on the platform if the train is going where you think it is. 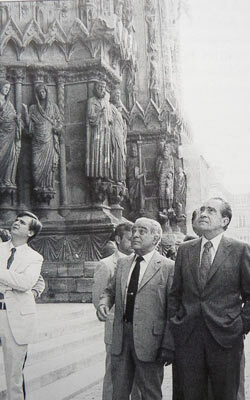 Point to the train or track and ask for example "Reims ?” ! Champagne lies 140 km (90 miles) North East Paris, it is a little bit cooler than Paris. Anyway, when you visit the chalk cellar in Champagne, the temperature is constant all year round around 10°C or 50F, therefore, don’t forget your warm cloths even in summer ! Please take notes that in Reims, like towns outside Paris, a lot of stores close on Monday ! Nervertheless, it is also interesting to stroll around in the town on Monday. You can also pay the guide by credit card (not Amex) by giving to your tour guide the credit card number, the expiration month and the 3 number on the back of the credit card. 24 hours after the day, we email you the receipt of your payment. 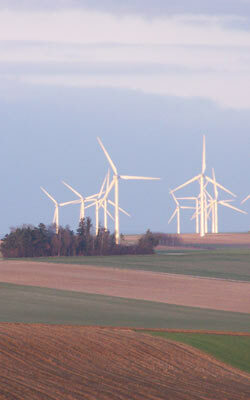 During this daytrip, you don’t see the vineyards which are outside Reims. Therefore, if you want to enjoy a longer journey in Champagne and we can help you to rent a car, to stay overnight in Reims, to schedule another day in Chamapgne to visit small champagne producers..., then to take the train on another day to go back to Paris. 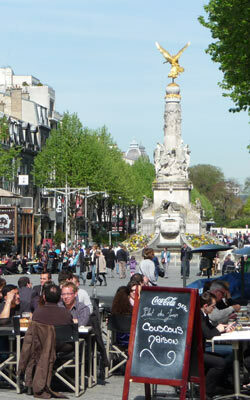 Reims has an extensive and convenient bus network and a tram line ans stops are well marked. Anway, if you want to take the taxi to go to Taittinger winery from the restaurant or from Taittinger winery to the train station, please advise the restaurant or the winery at least 15 minutes before ! The trip by taxi costs around €15 that you pay to the taxi driver by cash. You can visit the gift shop of Champagne Pommery or Veuve Clicquot after visiting Champagne Taittinger (within 300 meter from Taittinger). Veuve Clicquot is closed in winter from December to April. We wouldn’t recommend our clients to visit them ( you have to make an appointment) because the cellar and the explanation about the champagne processing are very similar to those you’ve got at Champagne Taittinger. 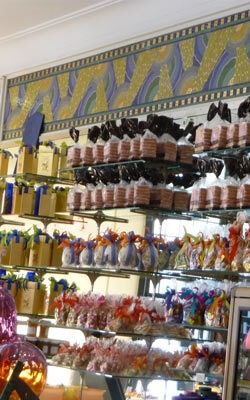 Those wineries have beautiful gift shops, clients can also sample champagne at winery. But it is also interesting to go back to the city to have a drink to enjoy the ambiance in a small town. The guide mentions earlier in the morning some sidewalk café like the art-deco Café du Palais or the café in front of the Reims Cathedral. There, you can choose your favorite champagne on the large champagne list. Don’t forget your train at 5:15pm or 7:15pm !